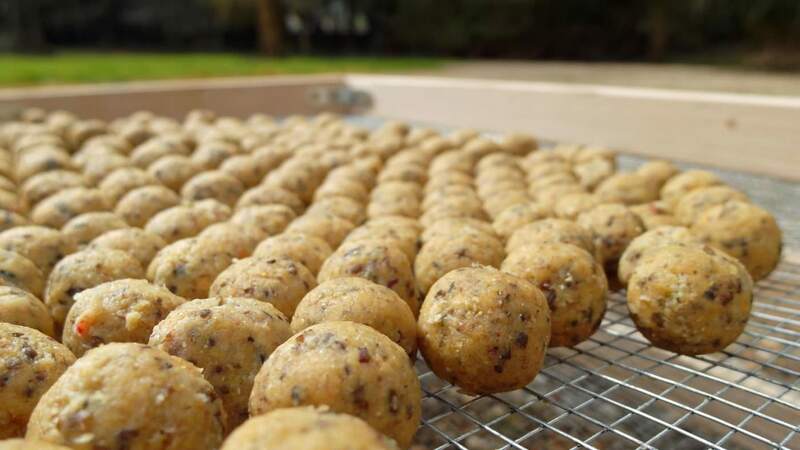 Carp baits recipes. How to make carp fishing potato lure? 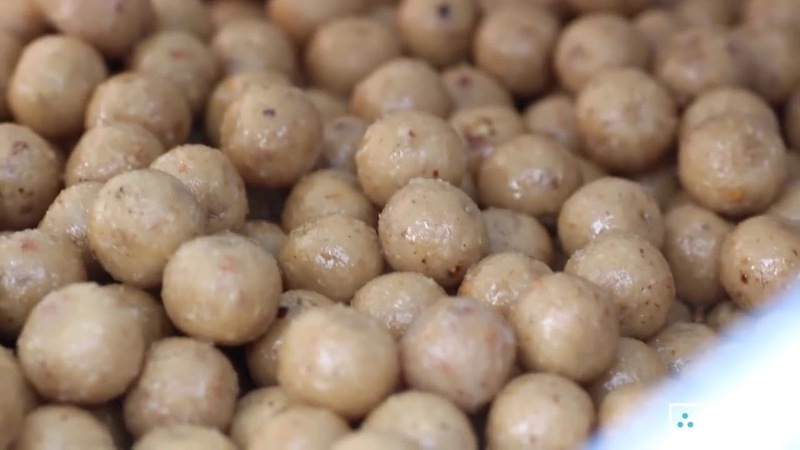 When talking about different baits used for carp fishing, you cannot forget about the potato. 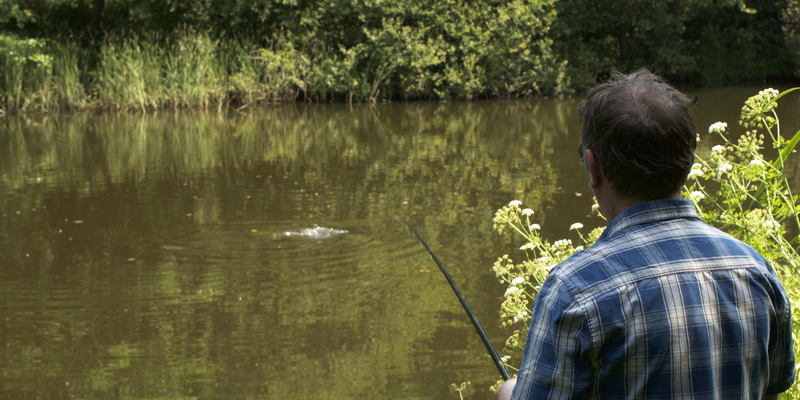 Even experienced carp anglers use it. Is it effective and worth using for carp fishing? 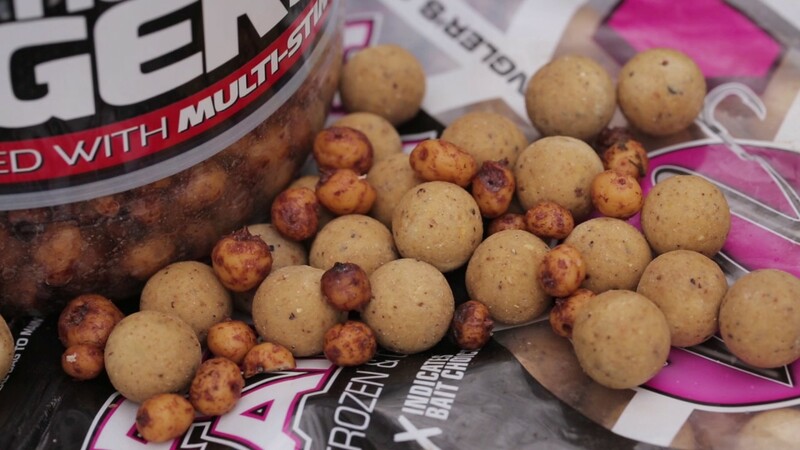 Potato is one of the simplest, cheapest and the most available bait for carp fishing. Only on some ponds fish can refuse from potato. It happens really rare and only on those ponds where the carp are fed with different boilies. But even on such ponds with proper feeding, carp is sometimes tempted with potato. You need to serve it in the right way or to use good attractant. So you can always fish successfully with such bait. The most important point is to cook it thoroughly. Every detail is relevant here. Take only fresh potato. It should not be over frozen, rotten, green. It should be mellow, mature and smell good. Better choose even and large potato. 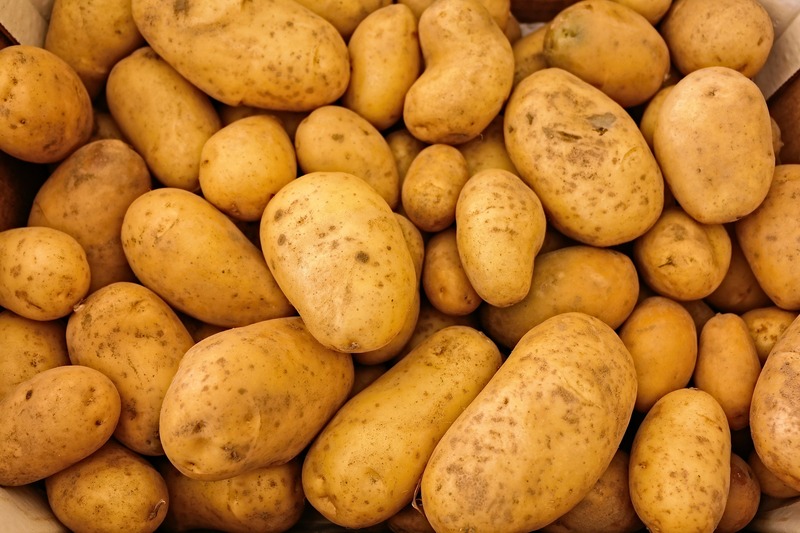 It is recommended not to use early potatoes because carp prefer mellow potato rich in starch. Then wash the potato, you can use the special sweeper. You don’t need to peel the potato. Pour water into the pot, bring it to the boil and only then put potato there. If you put the potato in the pot immediately, it will become watery and will hold on the hook badly. You can also add garlic or dill to make the smell better. Boil it on the moderate heat so that you get jacket potato. Do not overcook! The medium of the potato should be still hard. You can check whether it is ready using the toothpick. It should penetrate with a little effort. The next step is to take potato out of the pot and cool it down. Then cut it into small square pieces. The average size of every side should be 10-30 mm. Do not make it too small because carp won’t eat such bait or just won’t see it. You decide whether you will peel the potato or not, carp like both options. Then fry it on the pan until it is brown golden. The heat shouldn’t be too strong. Use unrefined sunflower oil with the strong but good smell. Why should we fry potato? Firstly, it becomes less watery and better holds on the hook. Secondly, its smell and appearance become more attractive to fish. After it put a fried potato into the airtight container so that it won’t dry out and lose its smell. We recommend cooking potato not less than 12 hours before fishing. Potato can also be cut not into squares but cylinders so that the bait will the look like a pellet. For this, you will need a big injection syringe, but you should cut off the part where needle holds. You will get a straw with a shape of the cylinder and with a particular hub. It will help to do similar pellets from potato. Should you paint potato in bright colours? It depends on the fishing conditions and features of the pond. On some lakes in summer, carp bite better on red or yellow potato. But better do not use flavours in autumn and spring. What is more, it is not necessary to make squares or cylinders. You can make the dough. Carp bite well on it. You can use this bait when the potato is overcooked. You can use this bait when the vegetable is overcooked. You can also make balls from potato. 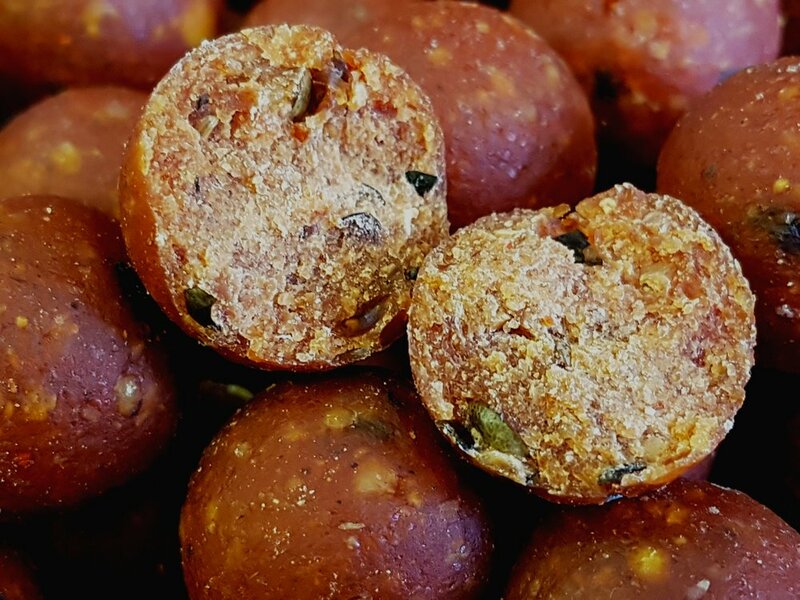 Carp will enjoy them if you add some dips and attractants. Now you know how to make potato bait. But there is another crucial point – how to lure fishing place and save attractiveness of the bait. Because if you attract with boilies and pellets, it will have no sense to use potato as a bait. In this case, the lure will be more tasty and desirable than bait. And, of course, you should add a little potato to the lure, especially mashed. Again, it is done to make the taste and the smell of the bait more attractive and natural for fish. You can also add flavours. They should have natural taste and smell, for example, dill, maize, garlic, sunflower seeds. Fishing carp with potatoes can be auspicious at any time of the year. In rare cases, even in winter fish actively bites on this bait. However, most often carp take a potato bait in the warmer water. It happens from May till the end of October. What gear will be suitable for this bait? Any. The most often carp anglers use different leger rigs for the extended cast. For example, they successfully fish with feeding rods and lures. But you can also fish with the typical rod. What about the fishing place? Do not forget that carp prefer deep water places. Especially when you are using potato bait. What is more, angling of such fish often happens on sludge ponds. There is a high risk that bait will go down or be hard-to-see for carp. But do not be upset. You can make some holes in the potato and put plastic foam balls inside. It will not allow the bait to go down. Now you should find out how to fish carp with a potato. We will write it in details so that it will be easier for you to understand the nuances of such fishing. Firstly, you should find a right place where the fish will be lured. Then make a lure. Add pond water and a little bit of local ground. Then do a starting lure. Then set a potato on the hook or the “hair” like boilies and pellets. If you choose the first option, you should pierce through one side of the square or the base of the cylinder. Then remove the point on the side. You can hide a tip of the hook so that the carp won’t prick itself. Some anglers use treble for more solid striking, and all three points pierce through the potato. Another method is to use two hook links. In such case, two hooks are pierced through the potato at the same time, so there is the minimal risk that the bait will fall off the hook. Be sure that the potato holds well on the hook and does not collapse. Cast bait to the fishing place. Then place the rod on the shore and do not forget about biting signal. Then wait for a biting. Remember that carp do not lap up the potato quickly. Firstly, carp taste it. So do not strike when you have light biting signals. Wait for a strong biting. Also, remember that most often large carp bite on the potato. So hold the line straight while playing and have a net somewhere near. If there is no biting, change a bait every hour. Because the potato can soak up water, become soggy and fall off quickly, so there will be a hook pull. Furthermore, take care that the rest of the potato is in the airtight container and the rays of the sun don’t touch it, because the bait will go off and its smell and taste will scare carp.